Continuing my “big” theme, here’s a big hole. Those are huge rock-filled dump trucks (with ~8’ wheels) driving up the roads on the far side! 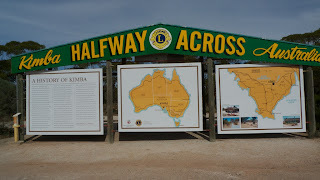 Just outside Kalgoorlie is a gold mining area that was called The Golden Mile - said to be the richest gold deposit in the world. It was mined since the 1890s but as the gold deposits got deeper it became less economic. Then, in the 80s around a dozen mines were bought up by one company and they started digging the whole thing out! Now there’s a 24/7 operation where they blast a few times a week, and then load all the rock onto dump trucks, and cart it off to the ore crushers. It’s a very impressive operation. Only part of the hole is visible in my picture. 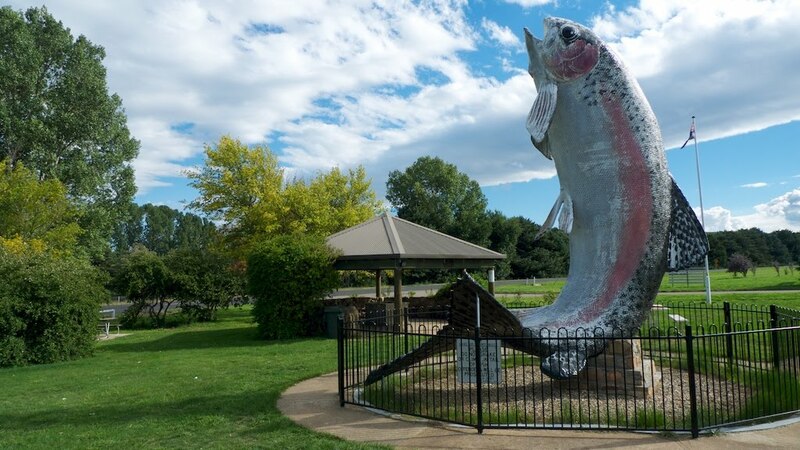 I’ve been in the small town of Norseman for about a week - resting my aching back. 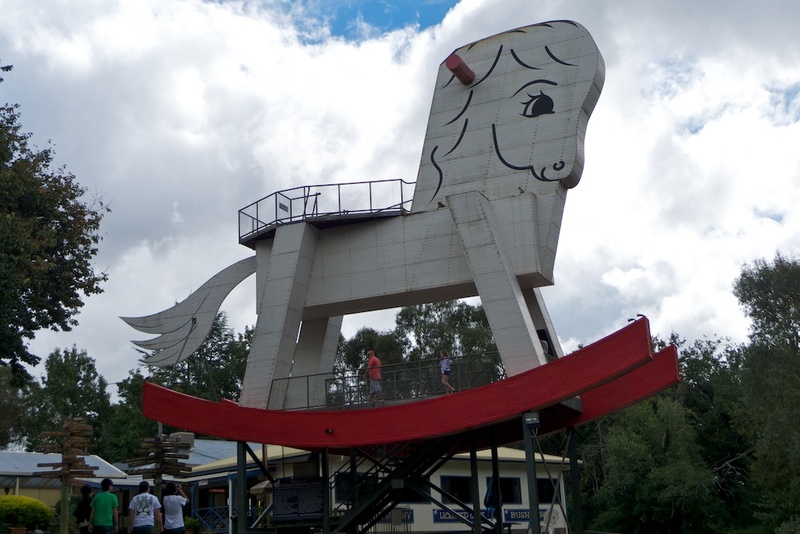 Norseman is in the Western Australian gold fields and it was named after the horse of a prospector (“Hardy Norseman”). Reputedly, the horse was staked out overnight near here and, in the morning, it was found that he had pawed up a gold nugget! That started a gold rush. 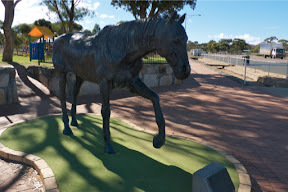 There’s a bronze statue to the horse in the middle of town. 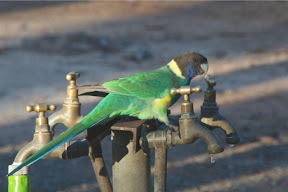 This is an Australian Ring-neck parrot. Although it’s supposed to be all over Australia, we’ve not seen them before - this is in Norseman, Western Australia. 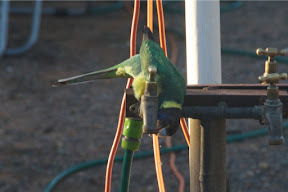 This one was showing interest in the tap, so I turned it on to drip for him/her. The other one of the pair stayed up in the tree. Look out! It's a camel! It’s only a little one. 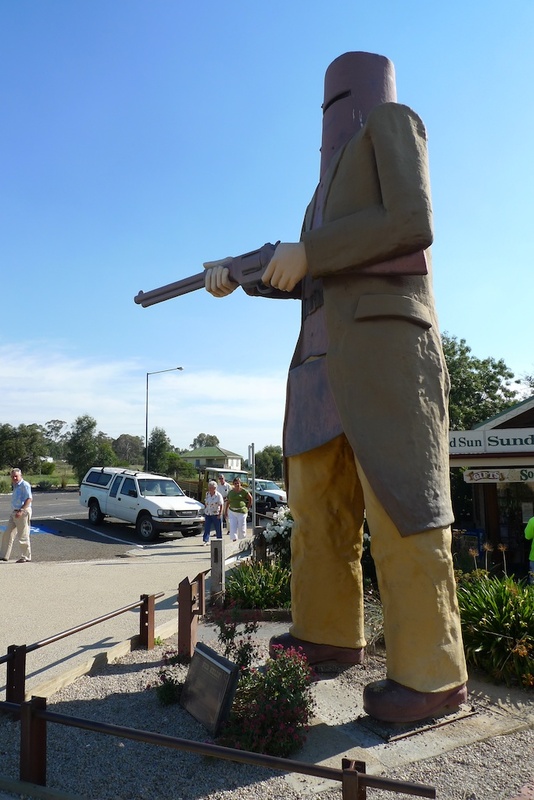 It’s wandering around the caravan park in Balladonia. It’s rather too friendly and Tigger doesn’t like it at all. 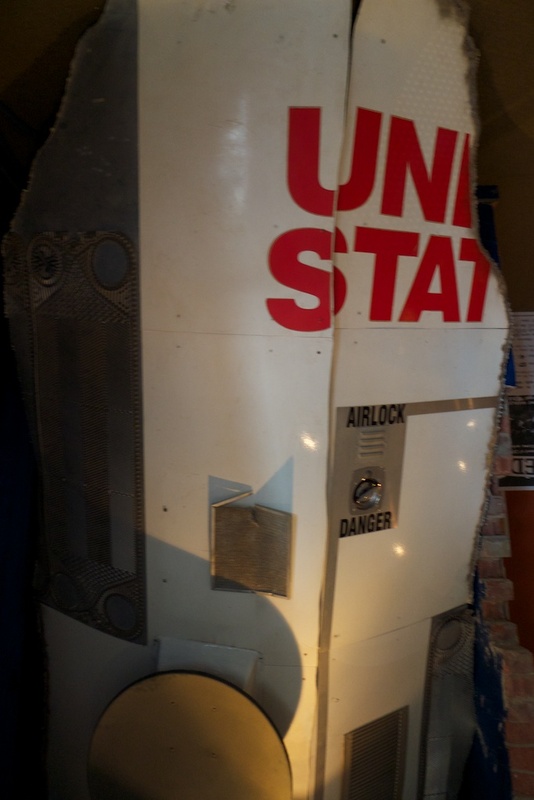 In 1979, the US space station Skylab finally fell to earth. After much speculation about where it would end up, it crashed right here near the Balladonia Roadhouse. They pulled it out of the desert and parts of it are on display in a small museum. 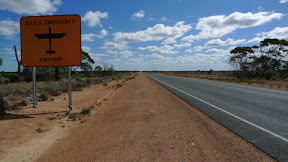 Every 100km or so, they mark off a section of highway, and widen the shoulders for the planes of the Royal Flying Doctor Service. It seems to be the form out here to wave at every vehicle - particularly caravans - coming the other way. Whilst amicable, this can get tedious after a while. Sometimes I’d sulk and not acknowledge a driver for a while! Childish really. Look Out! There are camels about. 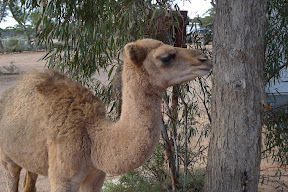 There are 200,000 feral camels in Australia, left over from when they were the primary form of transport in the desert. 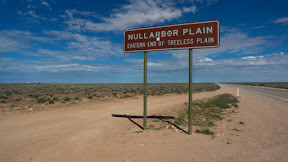 The Nullarbor Plain is named from the Latin “nullus arbor” which means No Trees. And indeed there are very few trees. 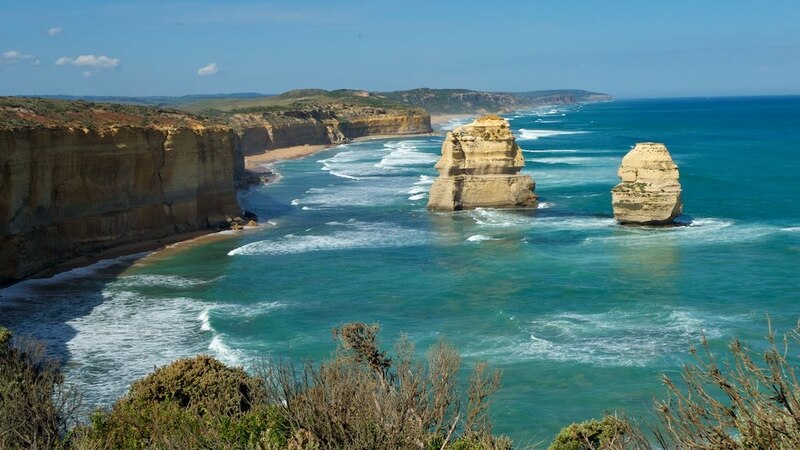 It’s actually a vast limestone slab hundreds of feet thick which ends at the Southern Ocean in high cliffs. I stopped for a night in a picnic area at Pildappa Rock. This rock, and a few of its friends, pop up out of an otherwise flat terrain. They are “granite intrusions” long ago, deep underground into the local limestone. For some reason, the edges erode into this wave formation. Of course Kimba also has a Big Galah - which is a common kind of Australian parrot. Yes, Australia has lots of parrots! The town of Kimba in South Australia claims this honour, but to be sure it feels like my journey across Australia to Perth is only just beginning. One day, I went into Adelaide by train to check it out, and the next day I made a driving tour around the Adelaide Hills. Adelaide is a pleasant city. It's nicely designed - the center is surrounded by parks and the excellent Botanic Gardens - and it's more the size I like. I found Melbourne to have nothing particularly attractive about it. Sydney has the harbor, bridge and opera house but Melbourne has nothing like that. In the Adelaide Hills I stopped at The Toy Factory to photograph the Big Rocking Horse (of course) and I also toured the Mt Lofty Botanic Garden. Then there was this giant statue of Ned Kelly we saw a couple of weeks ago in Glenrowan, Victoria, the site of the Kelly Gang's last stand. 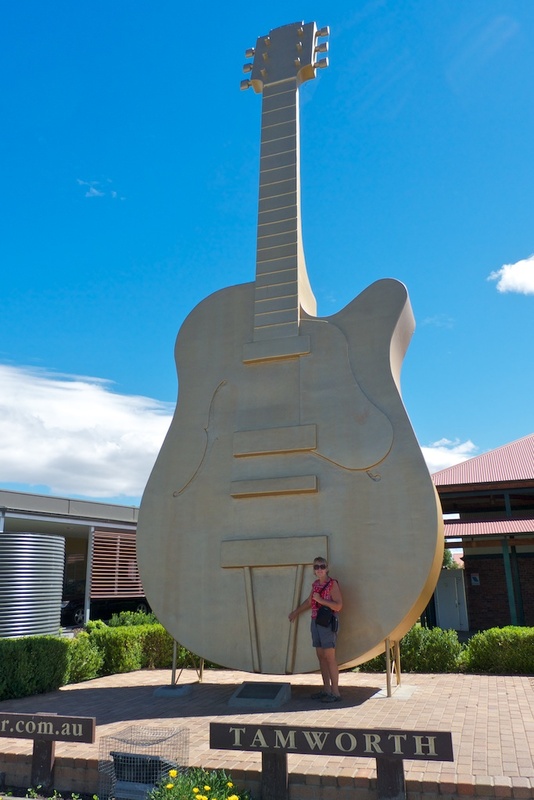 I seem to be collecting picture of big objects. 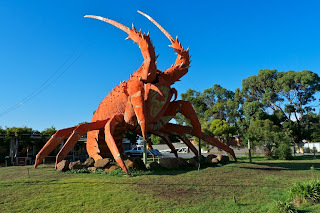 This lobster is at the town of Kingston in South Australia where I stopped for two nights. The town also has a huge lighthouse that was relocated from a platform 8km off the coast at Cape Jaffa and reassembled in the town! We spent the Easter Weekend just outside Melbourne. By 'We' I mean Martin and Tigger. Ginger flew out from Melbourne to visit family in Texas. 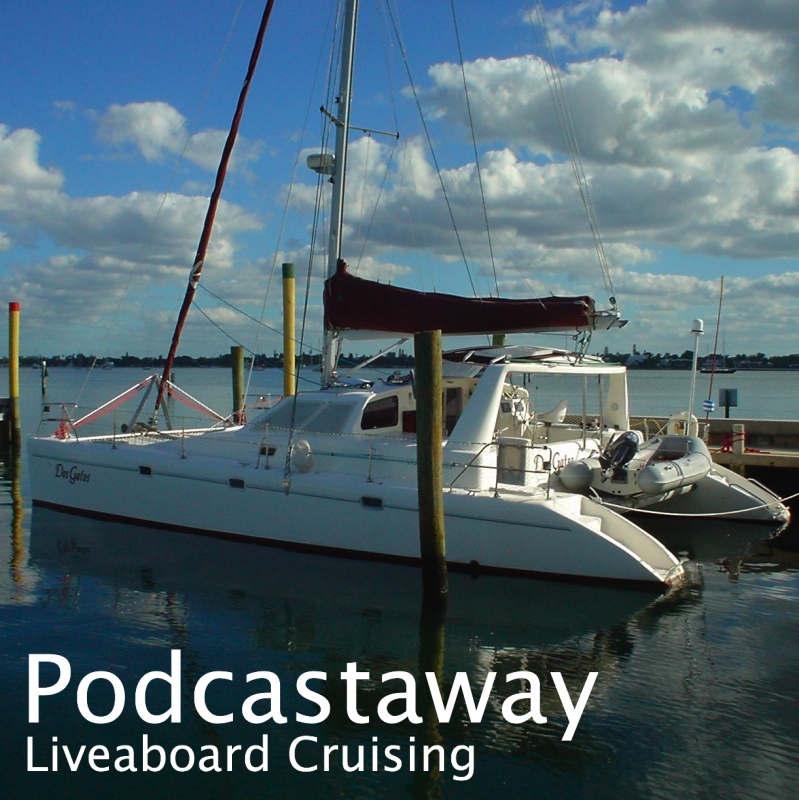 She comes back into Perth (~4,500km away!) in 5 weeks. 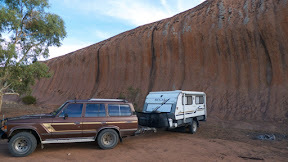 I'd intended heading out from Melbourne before Easter but after a few calls I decided that every caravan park within range of Melbourne was packed. 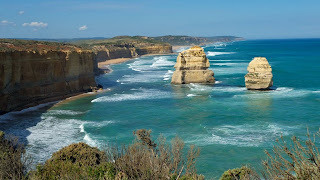 Ultimately, we left Easter Monday and drove the 'Great Ocean Road' from Geelong west. It was very busy with tourists but I stopped a couple of times to take in the views, such as of some of the Twelve Apostles (above). 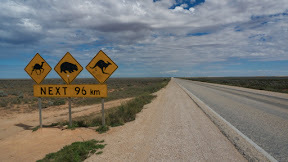 I didn't stop in the area because of the crowds and ultimately drove more than 500km that day.